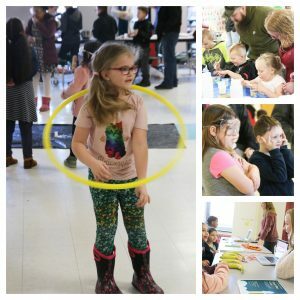 GRANBY – Granby Elementary School’s Family Science Night featured several stations for students and their families to get their hands dirty as they explored water measurements, programming with bananas, edible sour candy making and the genetics of strawberries, among other stations. The annual event, sponsored by the school’s parent-teacher group, attracted dozens of Granby students and supporters. Principal Gina Salerno said the science night has been one of the school’s most well-attended events, as each of the participants looked forward to the extended learning opportunities.